Any type of ceiling you have installed in your home, office or any other setting, it needs to be clean so that dirt and dust couldn’t enter a room. The tradition ceilings installed in our homes are not dust and dirt proof. Thus, these particles easily enter our home and not only affect the aesthetics of our home but help in spreading different diseases and infections as well since they carry pollutants and other harmful elements with them. These dust and dirt particles also affect the lifespan of the ceilings as well. To prevent these issues, the best option is to opt for clean room ceilings, Leeds. These are specialized suspended ceilings that help to keep a room absolutely neat and clean. They are designed to limit the dirt and dust particles, along with pollutants and other elements from entering a setting. The importance of clean room ceilings, Leeds surges a few notches above in hospitals, healthcare centres, and laboratories etc. as they need to kept completely sterile. Therefore, the best option, in order to install clean room ceilings, Leeds is to hire a professional company for which there is no better option than JK Ceilings. 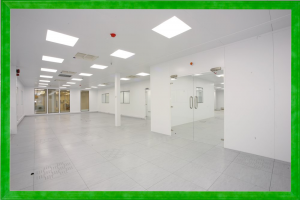 We excel in creating and installing high-quality clean room ceilings, Leeds services for all types of settings. At JK Ceilings, we design special clean room ceilings, Leeds for different settings keep in consideration numerous factors. Only highest-grade materials are used for creating them so that dirt and dust cannot enter a room. For hospitals and healthcare centres, we follow a different process to design clean room ceilings while for offices and homes, a different design is created. The requirements of clients are also followed when designing a clean room ceiling. The general process of creating a clean room ceiling we follow is connecting bevel edges tiles. A silicone sealant is used for this purpose. Thus, a dust-and-air tight ceiling is created. Our clean room ceilings are considered to be the best in Leeds as they are sturdy and durable. They can last of a longer period of time due to the high-quality materials used in their manufacturing. We use cutting-edge systems and tools to design and manufacture clean room ceilings. JK Ceilings is your reliable choice for the services of clean room ceilings, Leeds not only because of our experienced and expert staff but the extra attention we pay to each and every detail. For us, every client matter. Thus, we leave no stones unturned with our services and offer them complete value for money. 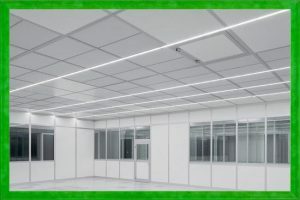 For more information or hire us for the installation of clean room ceilings, Leeds, feel free to call us at 0113 347 0639.